Spain’s Maverick Vinales has powered to a victory at his first MotoGP win of the season in the Australian Grand Prix at Phillip Island on Sunday. 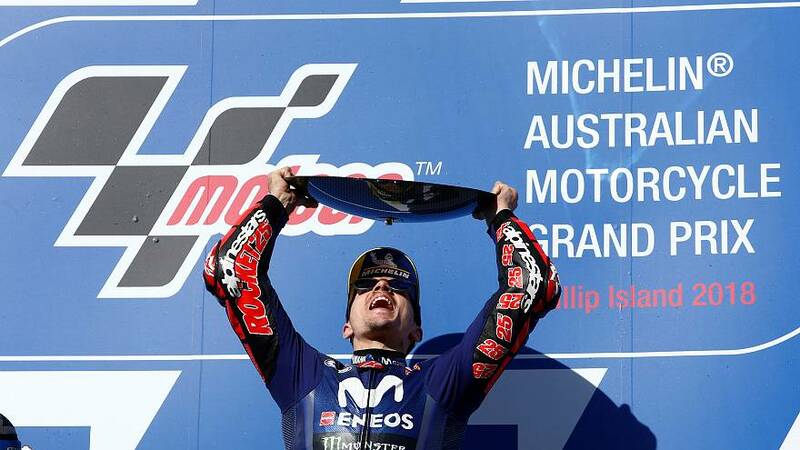 The 23-year-old becomes the youngest rider to win three world title breaking Yamaha's 25-race win drought. He takes the chequered flag ahead of Andrea Iannone on a Suzuki. Vinales started second but took the lead after Marc Marquez retired from the race after a frightening high-speed collision with the French rider Johann Zarco who was also taken out the race. Marquez sealed his fifth world title in Japan a week ago. This is now the third time he has failed to finish in Australia after winning the world title in Asia three times.